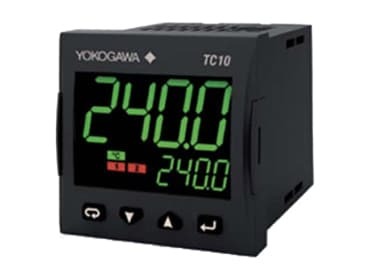 The TC10 is a compact, single loop temperature controller that has an easy to read, 3-color LED display. The compact design of this controller also saves instrument panel space. The TC10 supports easy configuration with codes for quick start-up. The UT32A-D is a dual-loop, digital indicating controller that features advanced control functions including ladder sequence and fuzzy logic control. 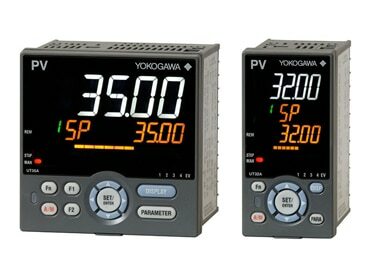 It’s large, 14-segment color LCD display and navigation keys greatly increase monitoring and operating capabilities. The compact design of this controller also saves instrument panel space. The UT35A and UT32A are general purpose temperature controllers that feature 4 target setpoints, 3 independent alarm terminals, ladder sequence control, and up to 8 digital outputs. 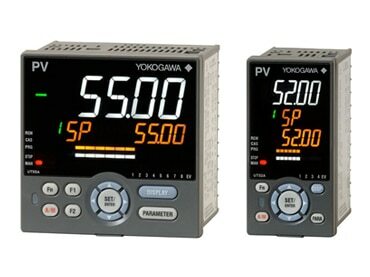 Their large, 14-segment color LCD display and navigation keys greatly increase monitoring and operating capabilities. The UT35A/UT32A also support open networks such as Ethernet communication. The UT55A and UT52A are mid-level temperature controllers that feature 4 target setpoints, 3 independent alarm terminals, ladder sequence control, and up to 18 digital outputs. 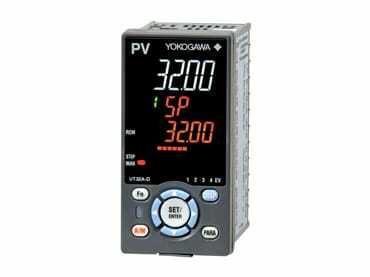 Their large, 14-segment color LCD display and navigation keys greatly increase monitoring and operating capabilities. The UT55A/UT52A also support open networks such as Ethernet communication. The UT75A is an advanced application temperature controller that features 20 target setpoints, ladder sequence control with capacity up to 1,000 steps, and up to 18 digital outputs. 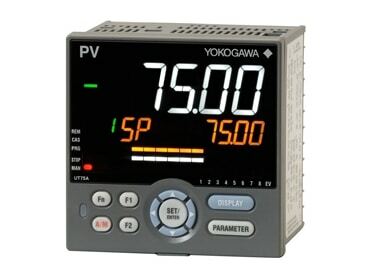 It’s large, 14-segment color LCD display and navigation keys greatly increase monitoring and operating capabilities. The UT75A also supports open networks such as CC-Link, PROFIBUS-DP, and DeviceNet.